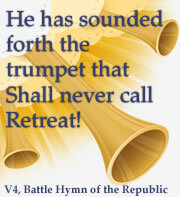 I am Richard Johnson, the proprietor of The Patriot’s Trumpet. In the middle of my eighth decade and “resisting” physical challenges, I am slightly retired but still available to those who value my business and marketing judgment. Over the past 20 years, I have become mature in my Christian faith and something of a political philosopher. I hope it shows—in a positive light—through some of my posts. On the internet, I reside here. My mission, posted on the right-hand column, brought me here—a place I had never envisioned residing. 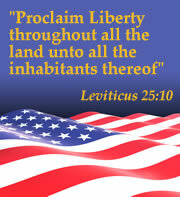 The Patriot’s Trumpet is the home of The Liberty List. The Liberty List developed in 2010 as I sent daily emails to a selection of friends—patriots—presenting citizens from across America who had stepped forward to challenge Democrat members of Congress who were enabling Pelosi-Reid-Obama. 72 men and women were selected and became the 2010 Liberty List. Forty four of them defeated the incumbents and now serve in the 212th Congress. The 2012 Liberty List is now being built. Come-on along. Visit each day to see another citizen (and sometimes politician) featured. Check them out. Pray for each of them, their families and the entire campaign staff and volunteers. Should you be in their district, join their team. And, importantly, support them with your contributions. We can turn this country around. To make it easier to keep up, follow me on Twitter and sigh up to get email updates (THE DAILY CALL) right under the search window to the right.